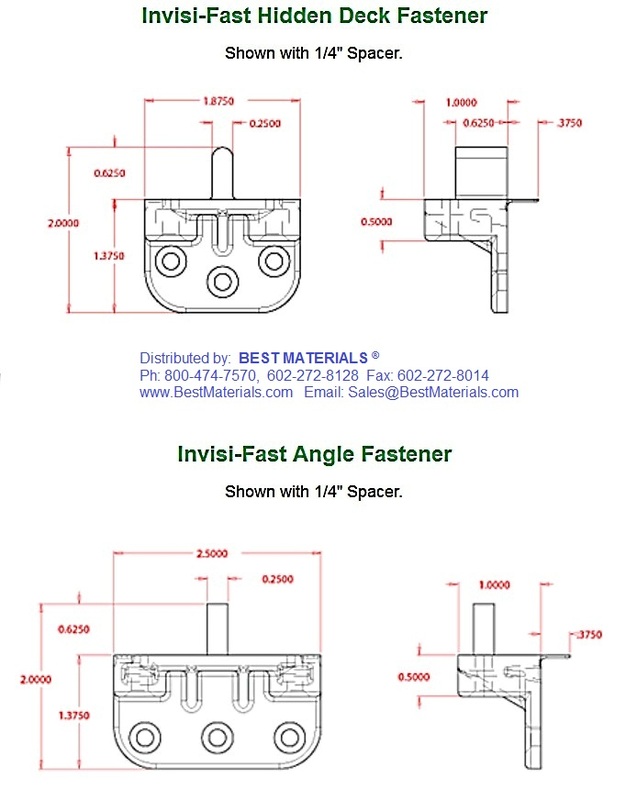 PRODUCT: # IF-A100-316, 100 piece Invisi-Fast 3/16" Invisible Deck Fastener Kit with fasteners. Price/Kit. DESCRIPTION: The Invisi-Fast Fasteners are made of tough, UV resistant Lexan to ensure durability. See Drawing. The built on board spacer ensures proper spacing while keeping a clean, "screw-less" top. The 100 piece kit has 88 pieces with a 3/16" spacer and 12 without a spacer for perimeter fastening and 300 1-1/8 ACQ compatible screws. 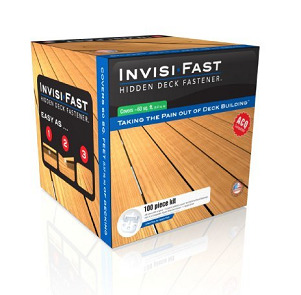 • Under deck design helps prevent premature wood rotting around fastener while creating a clean look from above. • Helps keep labor costs down. • No special tools needed to install. • Will not corrode like galvanized deck fasteners.